Just the other day we let you in on what was at that point still a closely guarded secret, the temporary Bape Pirate Store set to pop up on the streets of London this month. Today we bring you a little more info on the store’s arrival and what the plans are while it’s in town. 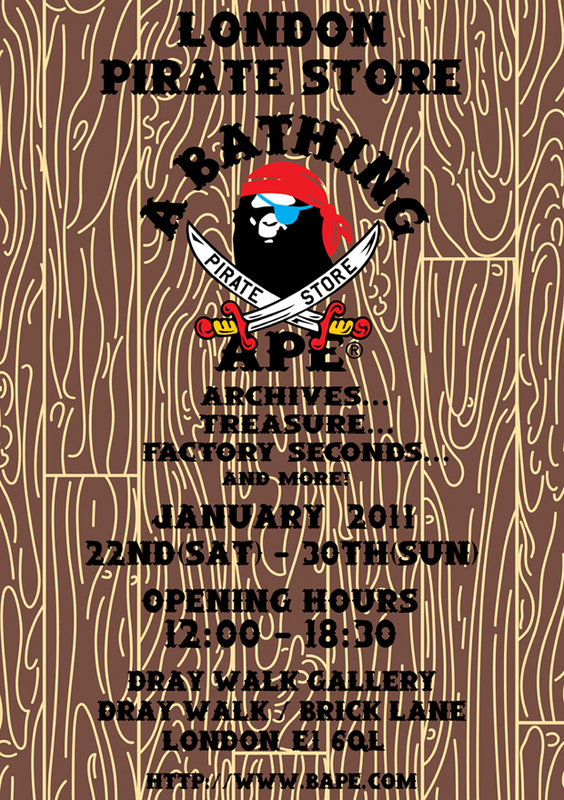 The Bape Pirate Store launches on Saturday January 22nd and will remain open for just 9 days (eventually closing doors on the 30th). 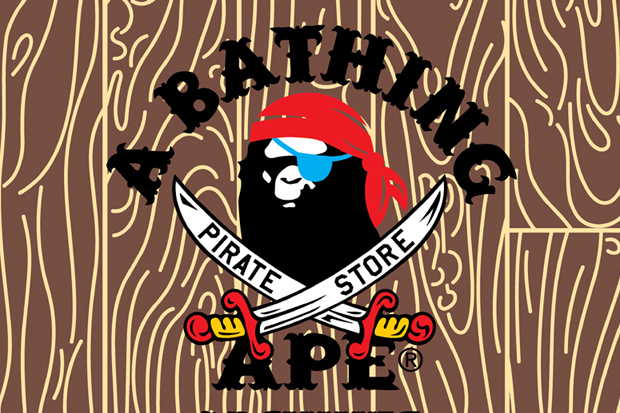 The store will stock both special edition pirate pieces and other ‘harder to find’ goods at reduced prices, which is a big deal for Bape, this sort of thing doesn’t happen very often. The London ‘Pop-up Pirate’ store follows those in Tokyo and New York, and new items will be released on every one of the nine days. 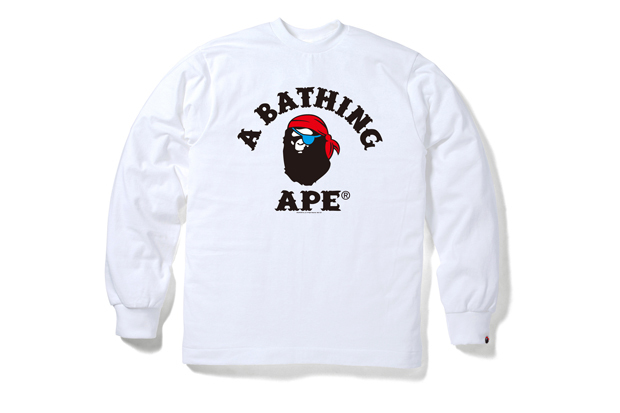 An example of one of the longsleeve offerings can be found below (more here). Treasure hunters might want to invest in the ‘Pirate Booty Bags’ similar to the Bape Lucky Bags, filled with content unknown until after purchase, but guaranteed to be packed with rare and exclusive bits. Bape Store London has never offered sale or discounted products in it’s 8 year history, so this is a rare opportunity to grab the goods with a hefty saving. Check the store out at the Truman Brewery on Dray Walk, East London from a week Saturday. Pirate tees retail at £50. you guys are amazing . im gassed . thank you.